This is a fantastically funky memo board that is perfect for hanging in the kitchen. Magnetic backboard and magnets included. 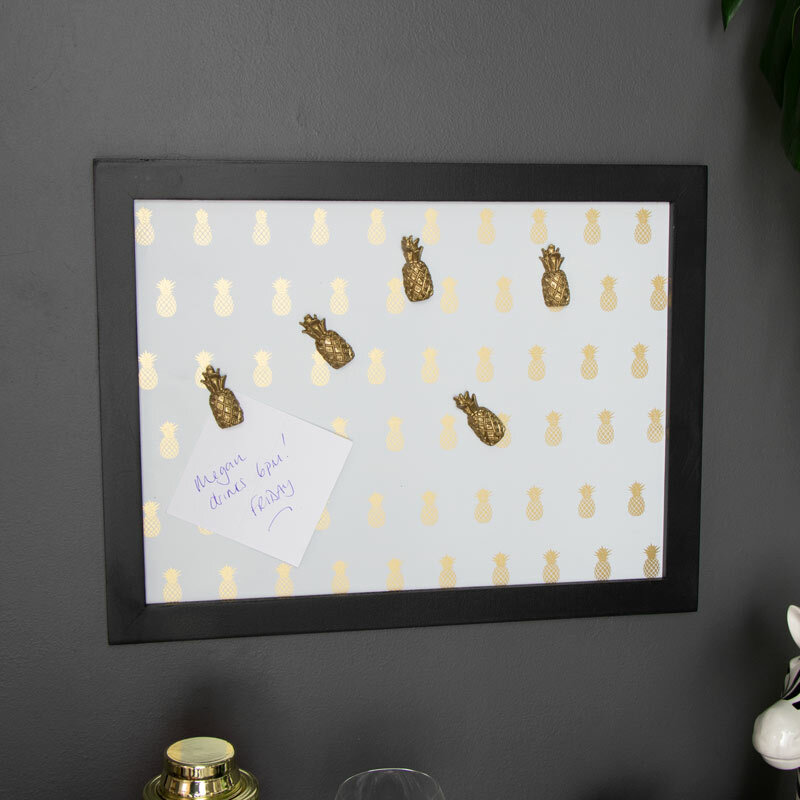 Decorated with gold pineapples against a white background, the board comes with gold pineapple shaped magnets for keeping all those memos and notes secure. This would be perfect hung in the kitchen or bedroom. Great gift idea for anyone that likes to keep organised or needs those little reminders. This is a fantastically funky memo board that is perfect for hanging in the kitchen. Magnetic backboard and magnets included. 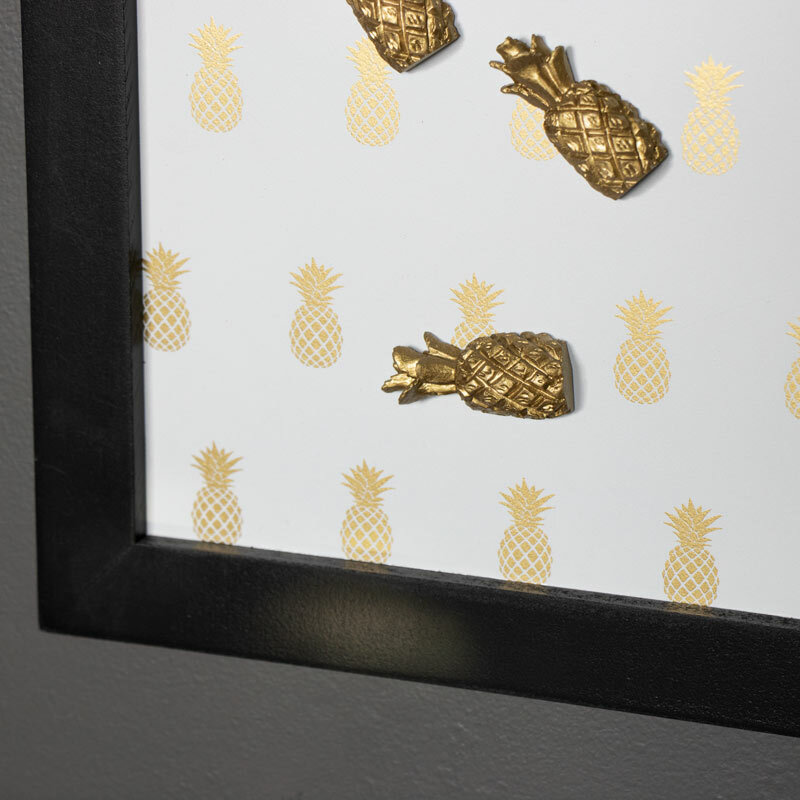 Decorated with gold pineapples against a white background, the board comes with gold pineapple shaped magnets for keeping all those memos and notes secure. This would be perfect hung in the kitchen or bedroom. Great gift idea for anyone that likes to keep organised or needs those little reminders. Constructed with a black wooden frame and white backboard. Lightweight design with 2 hooks on the back for wall mounting. Part of our fantastic range of gifts and accessories, this memo board is just one of the many we have available for you to choose from.